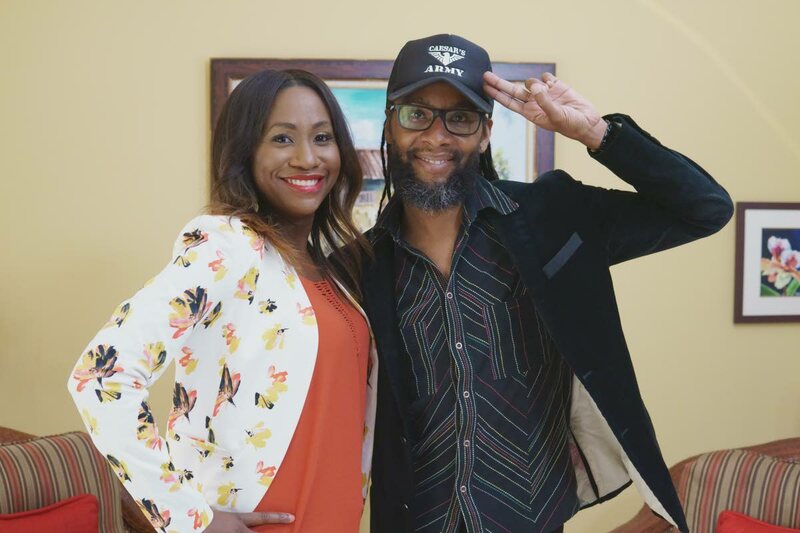 Entertainment and sports lawyer Carla Parris with Jules Sobion, creator of the Caesar’s Army carnival brand. Carnival in TT and the wider Caribbean is often talked about in terms of art and culture, not so much in terms of intellectual property (IP) rights and how best to monetise one's carnival-related ventures. Recognising the need to educate people about this, Carla Parris, entertainment and sports lawyer, decided to draw from her previous media experience in entertainment news to produce the web-based series, The Business of Carnival (TBOC). Parris will be speaking at this year's TEDx Port of Spain on October 19, after which she'll be participating in the CCJ Academy for Law Conference on the topic, Monetising The Creative Industries, from December 13-15 in Kingston, Jamaica. With her work often taking her out of TT, Business Day communicated with Parris via email to discuss TBOC and why she believes it's important that each and every person understand – and enforce – their IP rights. What is purpose of TBOC? TBOC is a web-based series designed to educate people based in the Caribbean and across the world about the intellectual property law and business matters associated with the Carnival industry. For far too long Carnival has been marketed and viewed purely for its entertainment value, but it is one of our country’s most valuable exports as there are TT-styled carnivals all over the globe. However, most still do not understand the significant short and long term economic benefits that can accrue from the various products that are created. Every year in my law practice, I deal with many disputes that arise from people not understanding matters like carnival costume ownership, music ownership, event management contracts and ownership of photography, to name a few. I think that if people paid more attention to structuring their carnival-oriented businesses differently, they would find that they could be earning significantly more than their current value. TBOC is a YouTube-based legal and entertainment business show. Why did you choose YouTube? Having worked and interacted with many film makers over the years, I knew first-hand the difficulty that you can encounter in having local content picked up by TV stations. I also shopped the idea initially around the industry and some of the feedback that I received was that the content was too niche, and that very few people would be interested in a legal and entertainment business show since there were no others on the market to prove the marketability of this type of show. 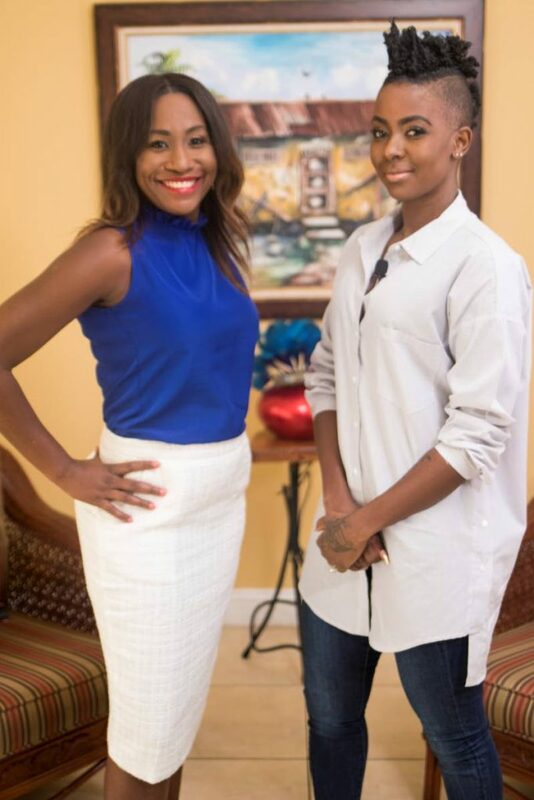 Entertainment and sports lawyer Carla Parris with entertainer Fay-Ann Lyons-Alvarez. I really was not prepared to have my dream die a slow death, so I decided to produce it myself with my core team comprising of my sister co-producer Lynmerie Parris and my other co-producer/brand consultant Kyra Barker. I also felt that putting the show on YouTube would provide immediate access to a global audience. The reality is that there has been a sharp decline over the years in the number of people who watch TV and instead prefer to access content through online platforms like YouTube and Netflix. I also spend a great deal of my time on these platforms and on social media, so going the YouTube route was a natural fit with my own consumption patterns. Local producers often lament the difficulty of sourcing funding. How did you address this in getting TBOC off the ground? Since I am very familiar with the local marketplace, I knew that sourcing financing for a new concept like a legal and entertainment business show would be challenging. So I drew from my reserves to make the sacrifice to self-finance the TT edition. My mother and I are the financiers of the Barbados Crop Over edition. I have spent the past eight years in my boutique law practice telling clients not to rely solely on governmental or corporate sector assistance to get ideas off of the ground and to think innovatively, so I thought that I would continue to follow my own advice and to invest in myself. I am really grateful that as the word spread that I was producing the show, interest poured in from individuals and companies such as J&K Signature Style – who provided clothing to style me on set – The Sanctuary Day Spa – which offered free beauty services and makeup – and hairdressers who offered discounts. I am truly grateful for the sheer number of people who put their support behind this new show. In coming up with the concept for TBOC, did you find similar shows, on any medium or is this the first of its kind? The show is a natural progression from the type of educational work that I have been doing during the Carnival season since 2015. I first started using the slogan, The Business of Carnival, in 2015 when I wrote educational articles for another local newspaper on the intersection between intellectual property law and Carnival. In 2017, I took the concept to TV and it became a feature during the Caribbean New Media Group's morning show, where I discussed specific IP and law topics under the TBOC brand. In fact, I have been using the hashtag #thebusinessof for the past eight years on many of my social media posts to discuss the importance of viewing the creative and sporting sector as business arenas. Any potential brand collaborations/partnerships for the development of future episodes? Apart from my team’s interest in licensing the content to local TV stations, we are also interested in doing so to companies who have a similar passion for the Caribbean and the Caribbean diaspora. I am currently discussing brand partnerships with companies locally and regionally that are interested in product placements deals – due to the originality of the show – and sponsoring some of the episodes in an attempt to reach new global audiences via its YouTube platform. Reply to "The business of Carnival"